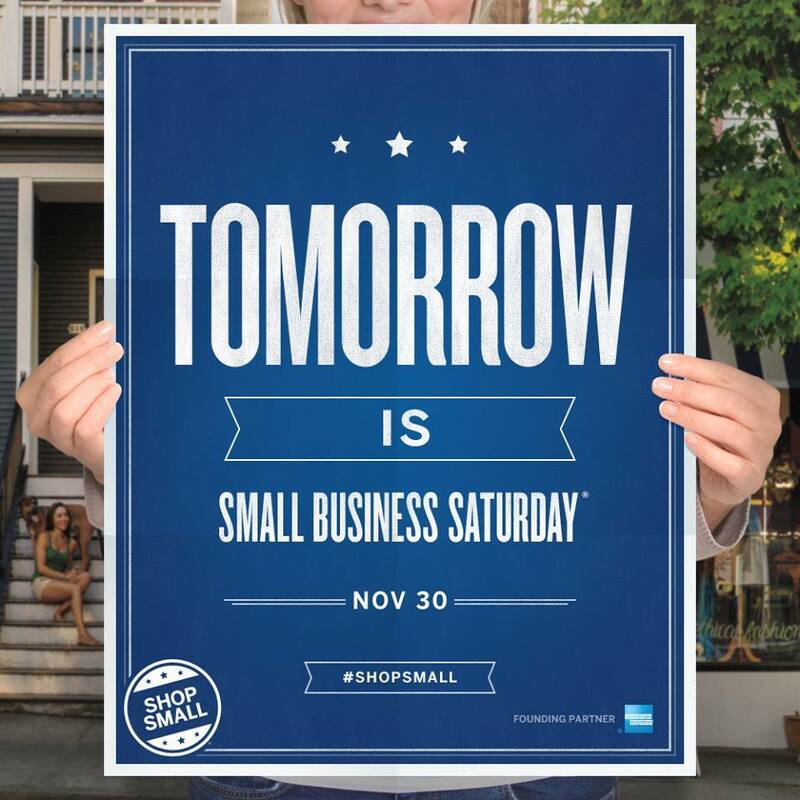 Don’t forget… tomorrow is Small Business Saturday, a day to celebrate and support small businesses and all they do for their communities. 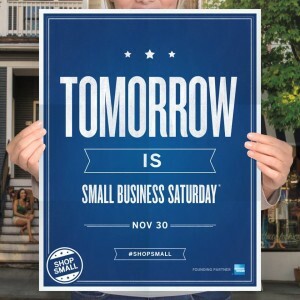 Shopping small creates and supports local jobs. Each time you purchase a product or a service on Main Street, you are helping to pay the salary of a friend or neighbor. Furthermore, small-business owners are the embodiment of the American Dream; supporting them makes you part of the dream, and that’s a good thing!